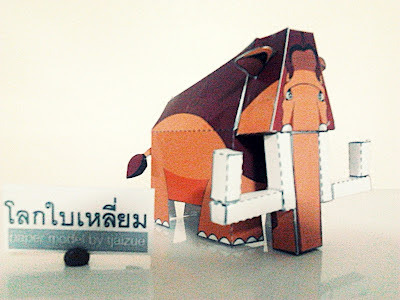 This paper toy is the Manny (Manfred), based on the film Ice Age. The papercraft is designed by tjaizue. Manfred, known more commonly as Manny, was a mammoth that led a herd of different animals brought together after various adventures and experiences.